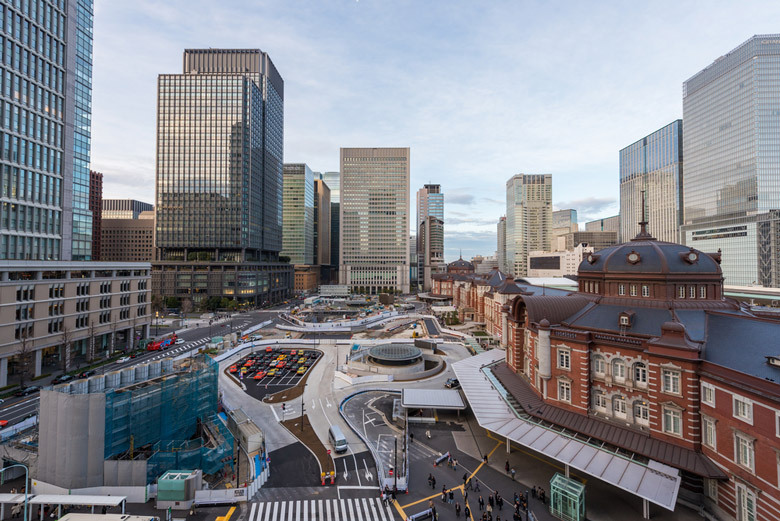 You may be thinking that a railway station is simply a place for catching or arriving by train, but the simple fact is, Tokyo Central Railway Station is a bit different and should definitely be added to your list of things to do in Tokyo. The station is obviously a transport link, as any station is, and it’s a very busy one too; but it’s also a lot more than that. One of the prominent buildings in the station is a red brick one that dates back to 1914. The building has recently undergone full restoration and is now open not just as a place that provides a travel service but also as the home of an art gallery and some enticing restaurants. This is not the only change that has been made to the station recently; it has also seen three brand new skyscrapers and an array of retail opportunities added. The result is an impressive complex that definitely should be added to your list if you’re looking for attractions in Tokyo. Tokyo is a very modern place; it’s full of style and cool architecture. In the midst of this environment it’s refreshing to find a venue that’s dedicated to the fascinating history of the country. Most people will be familiar with the Samurai warriors; the Japanese warriors in existence for more than 700 years. Well, this museum opened in 2015, in Shinjuku, to honor these warriors. Enter the museum and you enter the world of the Samurai. This is an impressive collection of costumes, swords, guns and all of the other equipment and dress that was associated with the Samurai Warriors. 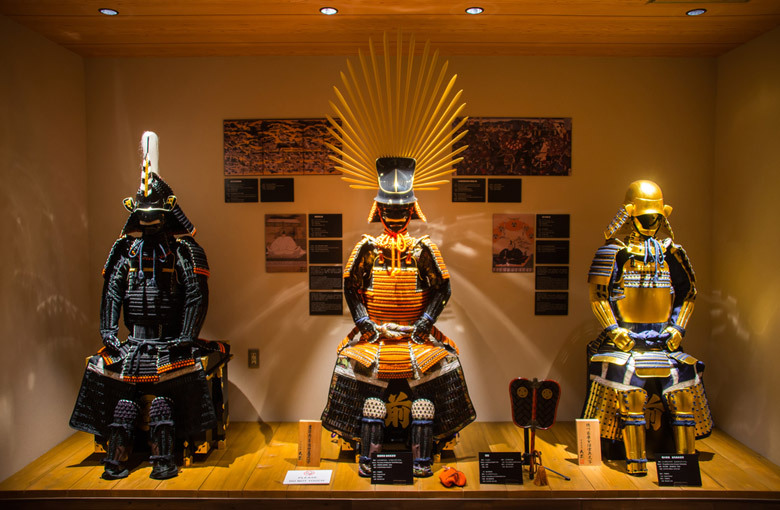 The museum collection is spread across two floors and is intended not just to educate visitors about the history of the Samurai but also to give them a real sense of what it was like to be one of these fascinating warriors. The most fun and exciting part of a trip to this museum is getting the chance to dress in full Samurai costume. Now that’s a photo opportunity you don’t want to miss! 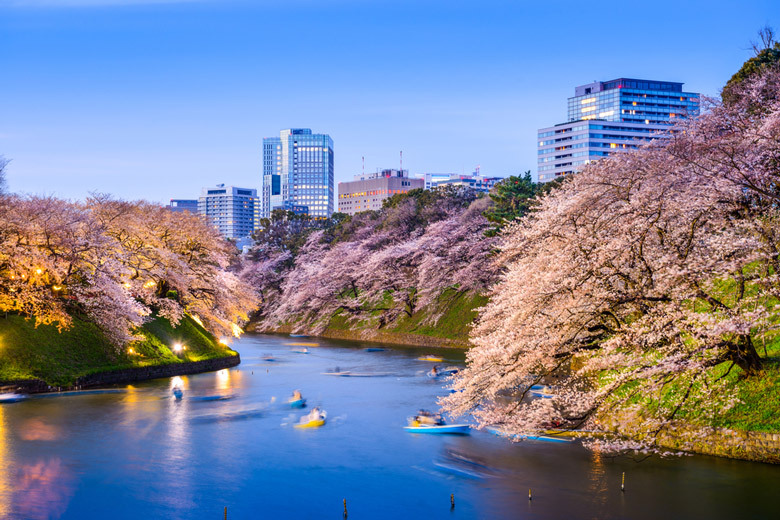 Cherry blossom often features in Japanese art and it’s one sight that you really don’t want to miss when you visit Tokyo. The delicate array of blossoms is surely one of nature’s most beautiful sights. 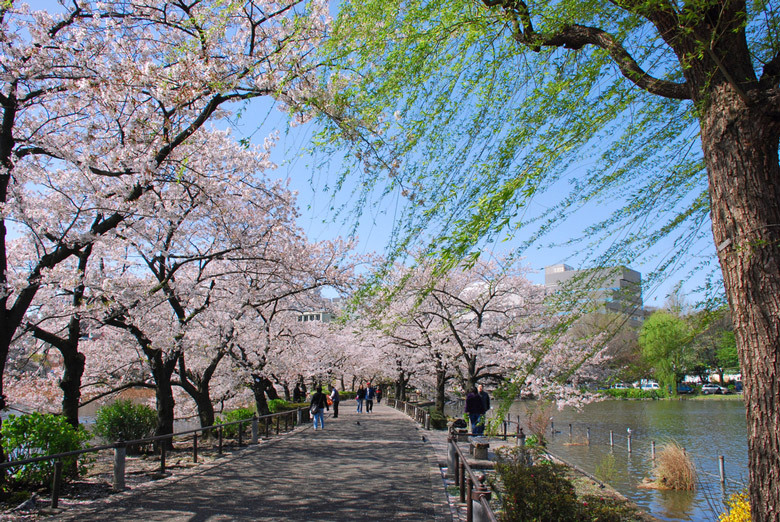 Chidorigafuchi moat is located at the Imperial Palace in Tokyo. The moat has a long history, having been constructed during the Edo period, and the moat and Chidorigafuchi pathway are next to Chidorigafuchi Park. The best time to visit is from late March to early April when the 260 cherry trees that line the path are covered in blossoms. The effect of this mass of blossom being reflected in the moat is spectacular. 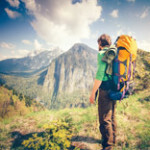 It’s certainly a memory you’ll always hold with you. You just walk along the path through a stunning tunnel of cherry blossom. If you visit in the evening then the trees are lit up presenting a whole different view of this truly impressive spectacle. Cherry blossoms are always one of the must see sights in Tokyo, with around one million people traveling to see them each year. That being said, Chidorigafuchi is still an eye catching place to visit, at any time of year. 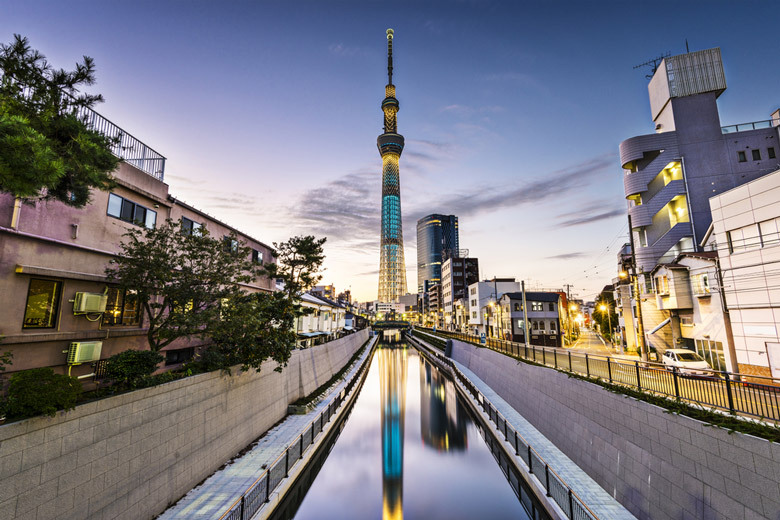 You really can’t miss the Tokyo Skytree if you pay a visit to the Japanese capital. It’s the tallest tower in the world. The tower was completed in 2012 and was built primarily to provide radio and TV broadcast signals. The signals from the previous tower were not reaching the entire city due to the number of skyscrapers that were being built as the structures disrupted the signals. The new tower was deliberately built at the height of 2,080 feet to counteract this problem. The tower wasn’t built by on its own though; it stands at the center of a large commercial development which is known as Tokyo Skytree Town. The development includes an array of retail outlets as well as a large aquarium. 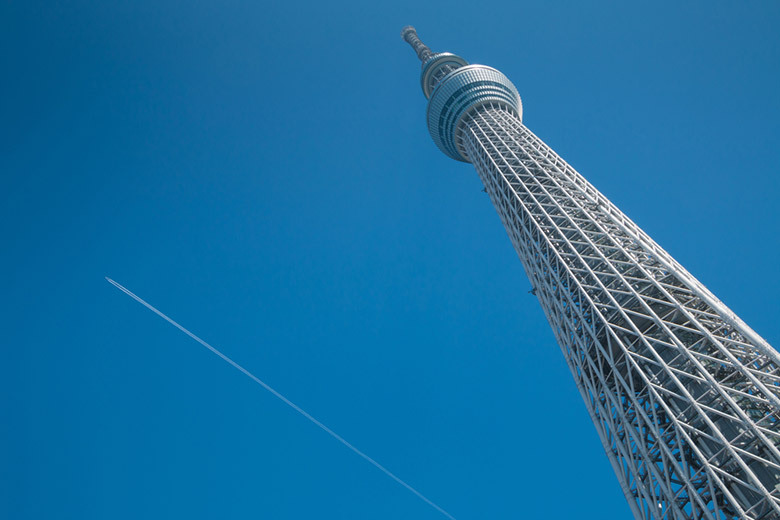 If you’re wondering what to do in Tokyo, then you should head to the Tokyo Skytree and make your way to one of the two observation decks which are located at 1,148 feet and 1,476 feet. 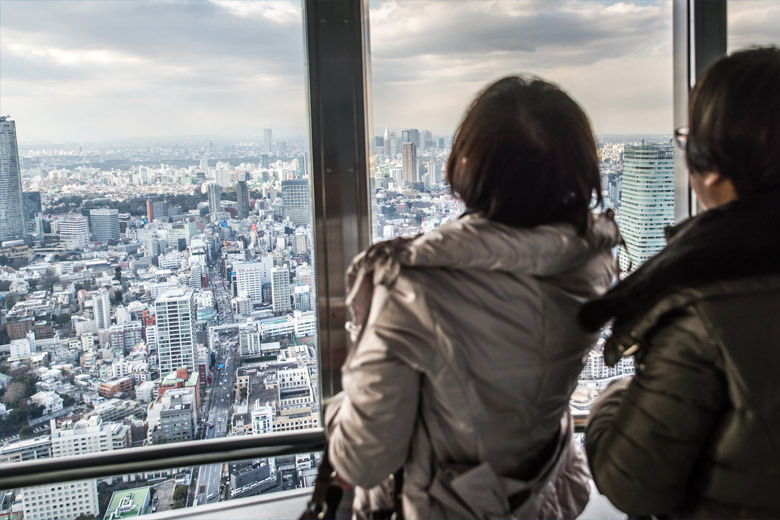 The view from either of these decks is spectacular as you look out across Tokyo. On the lower of the two decks you can also shop for souvenirs or enjoy a meal in the restaurant. Odaiba is an area of Tokyo that has seen its popularity with tourists rise dramatically. It’s an artificial island that is linked to the center of Tokyo by the Rainbow Bridge. Its waterfront location is one that offers great views out across the water, and when you visit the area you can also take to the water on a water bus. This is an excellent way of getting a different view of Tokyo and feeling the refreshing breeze across Tokyo Bay. Once you’re back on dry land you can do some serious shopping at the many retail outlets located in Odaiba. You can also take a break for some refreshment at one of the enticing restaurants. It’s hard to believe that Odaiba was originally built as a means of defense as far back as the 1850s because today it looks so different. It only really began its current life as a growing residential, commercial and leisure area as recently as the 1990s. It’s certainly become an impressive and much visited Tokyo attraction in the intervening years. In such a busy city it’s nice to be able to spend some time walking in a park, without traffic and the constant din. 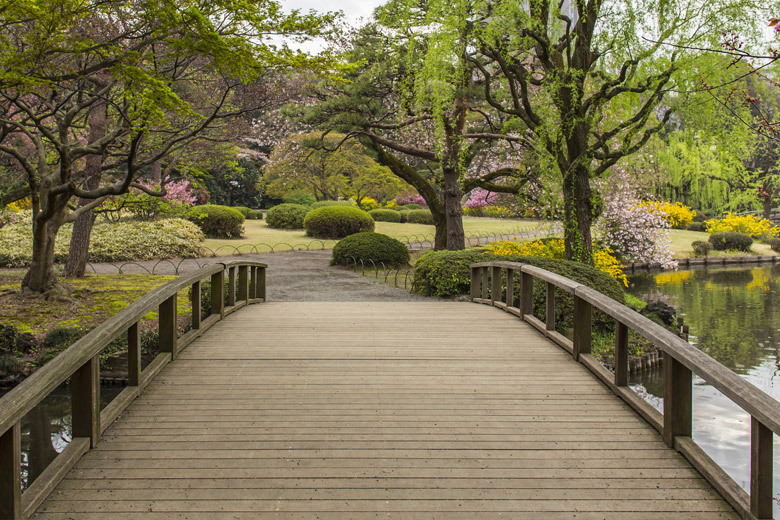 A walk through Ueno Park is among the best things to do in Tokyo. This is a vast park that used to form the grounds of Kaneiji Temple. The temple was an impressive structure; one of the wealthiest in Tokyo, that was unfortunately destroyed during the Boshin Civil War. After this happened the grounds of the temple were turned into a park for the first time. The park was first opened in 1873, so it’s been serving the people of Tokyo, and visitors, as a leisure space since then. The Shinobazu Pond in the park is home to Bentendo. This is a temple hall which is dedicated to the goddess of Benten. 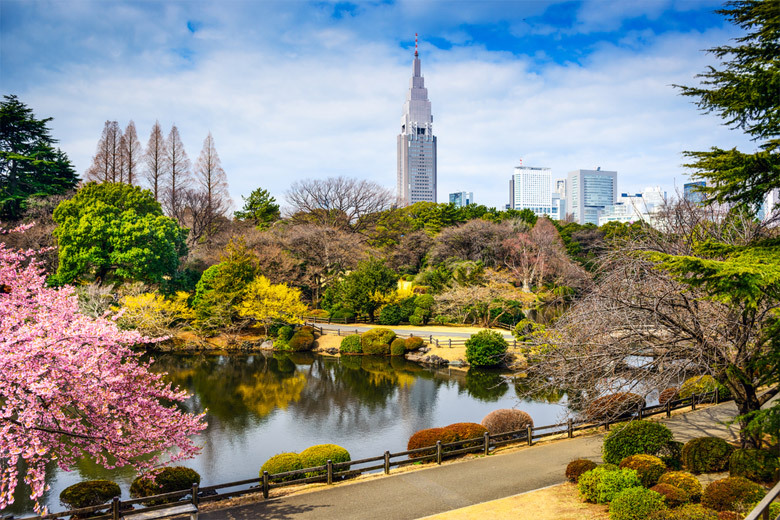 Be sure to take a look at the pond and temple hall then wander into one of the many museums that are located in the park, including the Tokyo National Museum, the Tokyo Metropolitan Art Museum and the National Science Museum. The park is also home to Ueno Zoo which is popular with families visiting the area. Visit the park between late March and early April and you should be lucky enough to see the pristine blossoms of more than 1,000 cherry trees. While Tokyo is a modern metropolis don’t forget that the city does still have some history to offer too. 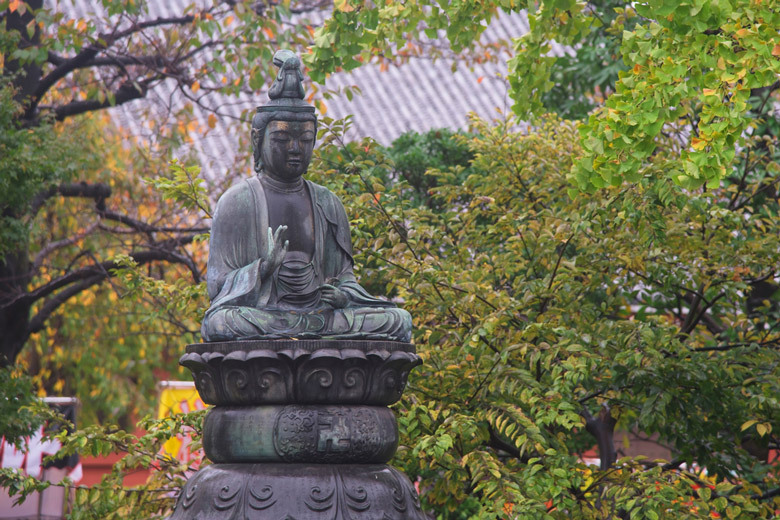 A visit to the oldest temple in Tokyo, Senso-ji Temple, will provide you with a history fix. Originally built as a temple of the Tendai sect of Buddhism it has been an independent temple since the years following World War II. Despite being the oldest in existence, the structure that exists today was built after the previous building was destroyed during World War II so what you’ll see here is a newer incantation. Even so, the temple is a very popular tourist attraction in Tokyo and it’s surrounded by an area that has been adapted to cater for the visitors, with many shops and traditional cafes lining the small streets around the temple. It’s the perfect place to relax and have a bite to eat after visiting this Tokyo attraction. Look for the window inside the temple that portrays the legend behind the temple. It’s a nice story involving two fishermen! Asakusa is the area of Tokyo where you can find the famous Senso-ji Temple but it’s also home to several other temples and it’s where many festivals are held each year. Asakusa has a long history from when it first became an area of entertainment, back in the Edo era. The area kept its entertainment face throughout most of the 20th century and was especially well known as the home of many theaters. The area was partly destroyed during World War II and never regained its role as a pleasure and entertainment district. Today, Asakusa is the place to go in Tokyo if you want to see temples. There are so many of these religious buildings in the area that you’re also likely to see the celebration of many religious festivals if you visit. The largest festival, which attracts the most visitors, is the Sanja Matsuri which takes place in May. Asakusa is today home to some of the oldest buildings in the city which date from the 1950s and 1960s. This may not seem especially old, but bear in mind that most of the earlier architecture was destroyed during World War II and these older buildings still make a noticeable contrast to the skyscrapers which dominate the landscape of Tokyo today. This is why Asakusa is often on visitors’ lists of what to do in Tokyo. 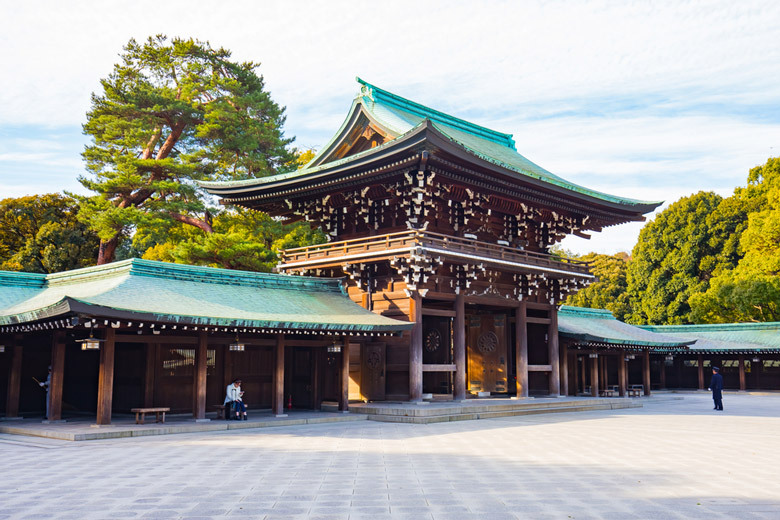 The Meiji Shrine or Meiji Jingu is located in Shibuya in Tokyo. 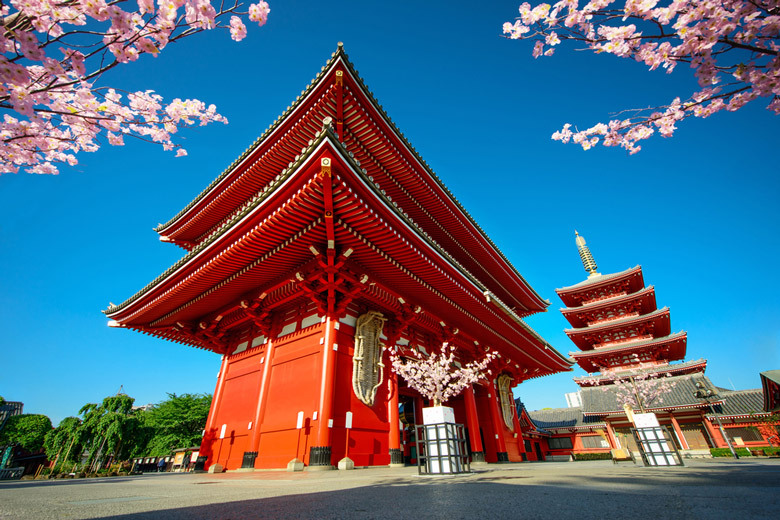 The shrine is of the Shinto religion and is dedicated to Emperor Meiji and Empress Shōken. The grave of the emperor is not actually located at the shrine; instead it’s at Fushimi-momoyama. The building of this Tokyo attraction began in 1915 and was a big project which involved many organizations from throughout the country, including many youth groups. The shrine was completed in 1921; it’s structure mostly consisting of copper and Japanese cypress, while the grounds around the shrine were completed in 1926. After all this work the original shrine was unfortunately destroyed during World War II, but after the war ended the decision was made to reconstruct the shrine and this work was completed in 1958. Visit the shrine today and you can also take advantage of its surroundings; it’s situated within an evergreen forest which is popular with local people and visitors alike as a place to stroll and relax. 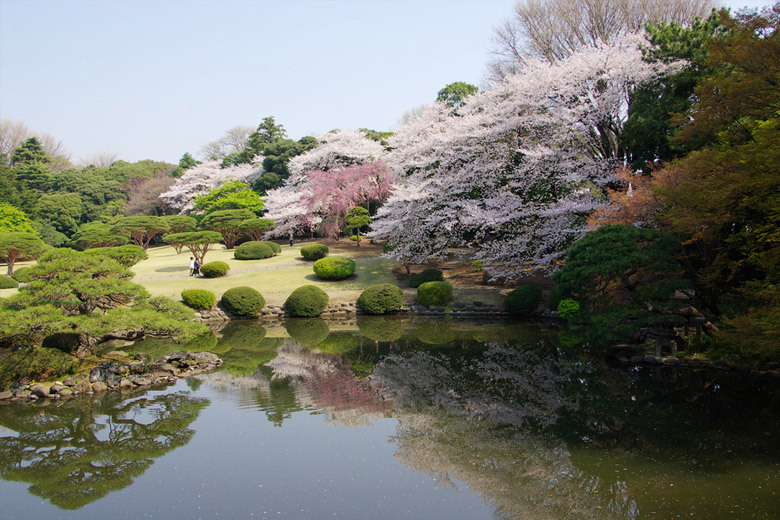 If you’re looking for things to do in Tokyo, then why not visit one of the largest parks in the area? Shinjuku Gyoen is a place where you can go to stroll along the paths or just sit and relax; it’s a tranquil oasis in the hubbub of everyday Tokyo, and it is one of the best places in the city to see the beautiful cherry blossoms in bloom if you’re visiting Tokyo from late March to early April. 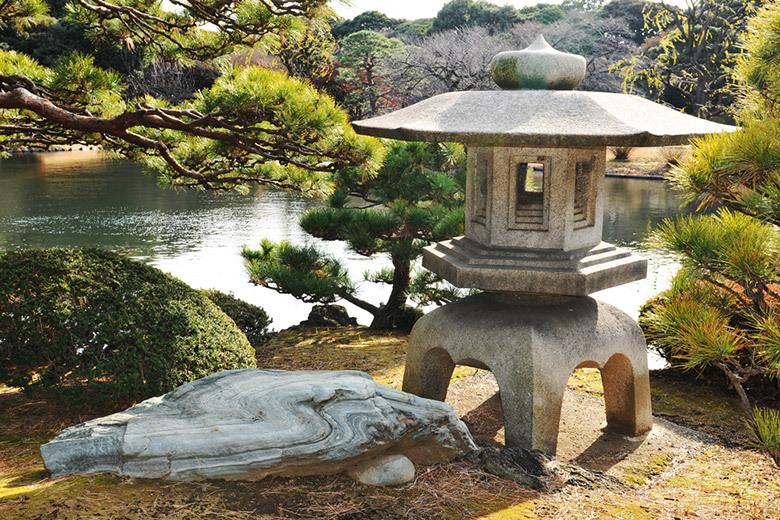 The park was first created during the Edo Period, although at the time it was a private residence. As with much of the Japanese capital, the park was almost totally destroyed during World War II. After it was rebuilt it opened as a public park, in 1949. If you walk through the park today you’ll see different types of garden from the very traditional Japanese gardens with a landscape including pavilions, to the French garden and the English garden. Each of the gardens has something completely different to offer to visitors and each is very beautiful in its own right. 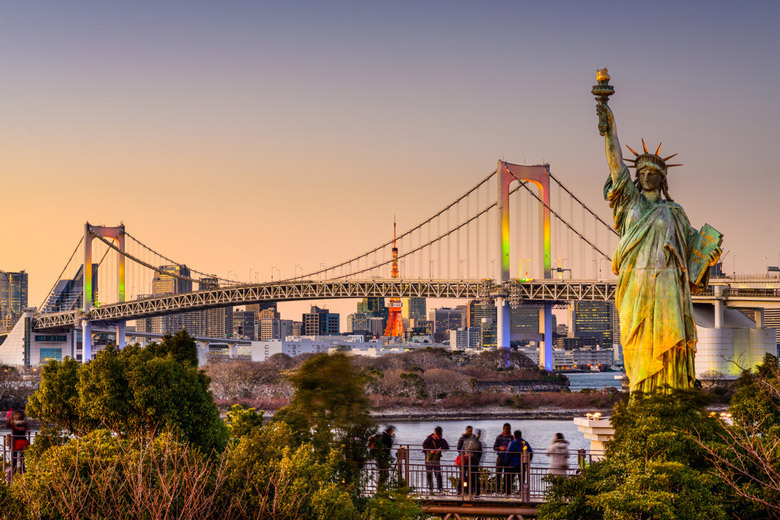 A visit to this Tokyo attraction is certainly a welcome break from the city streets and a chance to experience the calmer side to this amazing city.